I was quite surprised to know that ishita wanted to visit me to have her investment portfolio reviewed. In the last 4 years of our association she’d never asked anything about her portfolio. Though as per process I did regular reviews but it was clearly visible from her expressions that she used to be least bothered. Even she acknowledged to that. She just wanted to save more and more as much as she can. That day, she was the first person I met in the morning. I knew it was not the portfolio that was bothering her, it was something else. When she started asking about the stock market and interest rates, I asked her directly as to why she’s sounding so upset? After a long pause, she opened up with her worries. She told me that she has left her job due to some medical problems. She has to undergo a surgery and the medical treatment requires her to be stress free, which is not possible being in job. She was saving for her financial freedom and wanted to accumulate more money before she leaves job, but now the things has changed and she wanted to generate monthly income from her savings. She doesn’t want to be financially dependent on her husband and in laws, at least for her lifestyle expenses. I understand your concern Ishita, I replied, and it’s perfectly fine. It’s life. Sometimes things happen which are not in our control. We can just plan and replan in the best possible way so it impacts us to the least. . May be it has happened for your betterment only. As you have told me many times that you are not happy with your job and also the work environment is taking a toll on your health, and this is what has happened. Had you left your job early, you would have been in a much good health, which is most important. 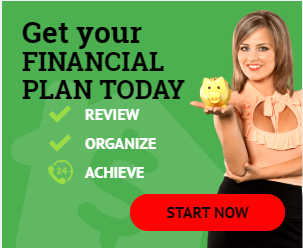 By the way, as far as financial goes you need not to worry as you are very much on track and we can replan the things as per the current requirement. Many times we keep on worrying about those things which though matters to us but not in our control, and this creates unnecessary stress in our minds which in turn affect our efficiency and also health. It happens in financial life too. 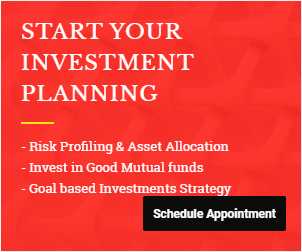 Though financial plan is important and it definitely matters a lot, but you have to understand that it is based on few assumptions like for inflation, rate of return etc. which are not in anyone’s control. What you can control is the Process part of it. So just keep following the process, be disciplined to your savings and keep on monitoring and reviewing the things, rest will get automatically taken care. Spending time on searching for best investments that can make you wealthy is just a waste. 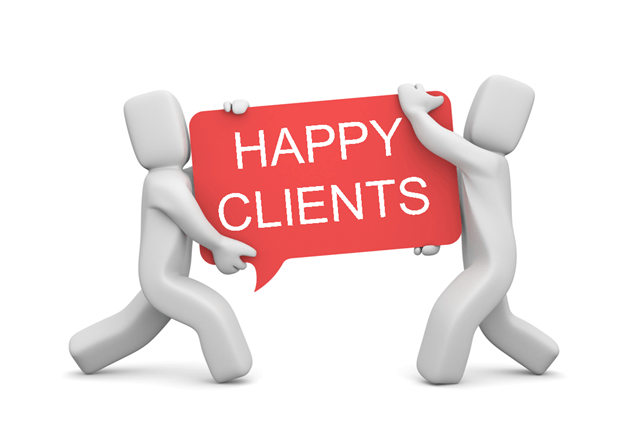 In cash flow management of client, I have found many people blaming there income for low surplus. “Paise bachte hi nhi hai” is the common excuse for people who avoid financial planning. The reason to change the last job is low salary in many cases. But the reality is that none of the earlier job was satisfying the lifestyle they were looking for. And very soon the current job will also come under the same category. See, one has to understand that cash surplus is not the factor of income alone; spending plays an equal role in it. Income is something you don’t have control on and it takes time to reach in a decent bracket, but controlling spending is in your hand and this is where you should focus on. So what advice you give me with these thoughts, asked Ishita curiously? See in your case ishita, the best part is you have accumulated a decent corpus in the last few years and are also insured of health. What matters to you is your income which you are earning to remain financially independent. But along with that your health is also very important. On the other side health problems, job scenario and other unforeseen problems are something which you don’t have control on. So what you should focus on is keeping healthy and getting proper medication, keeping your financial independence intact by spending wisely the regular income being generated from your savings, on necessary and important things. Your regular income is my responsibility which will be derived from the arrangement out of your existing savings. Also be in touch with your long term life goals and whenever you feel like and after coming out of your health issues, start working again if at all you want. This will help you in generating more savings for your other long term goals. Finally I saw a comforting smile on Ishita’s face as she’s understood that there’s no point to worry and everything from financial angle is under control. You should be actively engaged in thinking and talking about what you are doing and why you are doing. 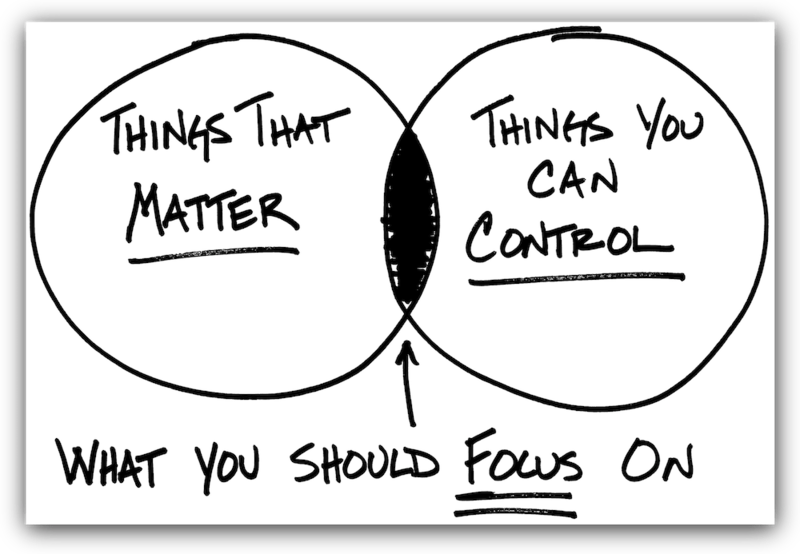 Focus on what matters and what you can control. You have limited resources and time so use it effectively. How about you? Do you agree with this concept of focusing on what you can control? Share your comments and stories in the comments section below.